1. What is the approximate percentage (in mass) of water in the human body? Do you think this percentage is larger in adults or in the elderly? 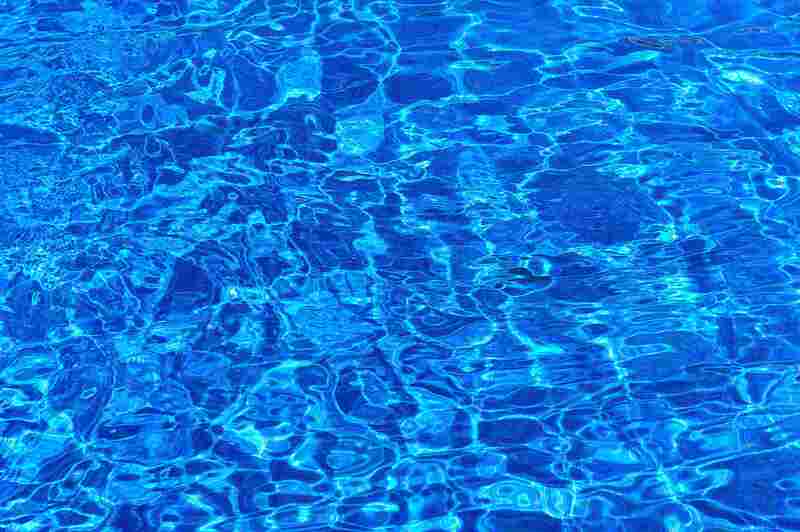 Approximately 65% of human mass is made up of water. The brain, for example, is around 90% water; muscles, 85%; and bones are between 25% and 40% water. The young have a greater proportion of water than the elderly. 2. What are the main biological functions of water? Water is the fundamental solvent for the chemical reactions of living organisms; it is the main means of substance transportation within and between cells and tissues and it is responsible for the maintenance of the correct temperature for the functioning of an organism. Water is also the reagent or the product of many biochemical reactions, such as photosynthesis, cellular respiration, the forming of peptide bonds for protein synthesis, etc. 3. Water plays a key role in organic reactions. What are examples of two types of organic reactions in which water is either an input or an output? Photosynthesis is a biochemical process in which water is incorporated into organic molecules. In this reaction, the hydrogen atoms from water are incorporated into the produced glucose and the oxygen atoms from water make up the molecular oxygen liberated: carbon dioxide + water + light = glucose + molecular oxygen. Aerobic respiration is an example of a biochemical reaction in which water is produced: glucose + molecular oxygen = carbon dioxide + water. 4. Is water a polar or a non-polar molecule? What does that mean for water’s function as a solvent? Water is made of two atoms of hydrogen attached to one central atom of oxygen by covalent bond, making an angular spatial structure. The hydrogen atoms “lend” electrons to the oxygen and consequently the oxygen atom becomes more negative while the hydrogen ones become more positive. The spatial geometry of the water molecule makes it a polar molecule, with negative and positive poles. Water is an excellent solvent for polar substances because the electrical activity (attraction and repulsion) of its poles helps in the separation and the mixing of these substances, giving them more movement and thus increasing the number of molecular collisions and the speed of chemical reactions. On the other hand, water is not a good solvent for non-polar substances. 5. Which kind of polarity do water-soluble and fat-soluble substances demonstrate? Water-soluble substances are polar molecules, meaning that they have electrically charged areas. These molecules are called “water-soluble” because they are soluble in water, which is also a polar molecule. Fat-soluble substances are non-polar molecules, meaning that they are electrically neutral. They are called “fat-soluble” because they dissolve other non-polar substances. 6. What is the importance of water for enzyme activity? Enzymes are biological catalysts that depend on water to reach their substrates and to bind to them. There is no enzyme activity without water. In addition, enzymes depend on adequate pH intervals to do their job, and this pH is a result of the release of hydrogen cations (H⁺) and hydroxyl anions (OH⁻) by the acids and bases in water solutions. 7. Does water have a small or large heat capacity? What is the biological significance of this characteristic? Thermology tell us that the quantity of exchanged heat (Q) is equal to the mass (m) multiplied by the specific heat of a substance (c) multiplied by the variation in temperature (T): Q = m.c.ΔT. Furthermore, it says that heat capacity is Q/T, and therefore, m.c. Heat capacity, however, relates to a specific object, since it considers mass, whereas specific heat relates to the substance in general. Therefore, it is more correct to refer to specific heat in this case. Water has a specific heat of 1 cal/g.°C which means that there is a 1 °C per gram change in its temperature per every addition or subtraction of 1 cal of energy. This is a very high value (for example, the specific heat of ethanol is 0.58 cal/g°C, and mercury, a metal, has a specific heat of 0.033 cal/g°C), which makes water an excellent thermal protector against temperature variations. Even if sudden external temperature changes occur, the internal biological conditions are kept stable in organisms containing enough water. High specific heat is one of the most properties of water. 8. What are the main properties of water that make it so special for life? 9. What are ions? What are the two types of molecules into which ions are classified? Ions are atoms or substances that are electrically charged due to losing or gaining electrons. The two types of ions are cations and anions. Cations are ions with a positive total electric charge and anions are ions with a negative total electric charge. 10. What are the main positive ions found in living organisms? The main cations found in living organisms are the sodium cation (Na⁺), the potassium cation (K⁺), the calcium cation (Ca⁺⁺), iron cations (Fe⁺⁺, Fe⁺⁺⁺), the magnesium cation (Mg⁺⁺), the zinc cation (Zn⁺⁺) and the manganese cation (Mn⁺⁺). 11. What are the main negative ions found in living organisms? The main anions found in living organisms are the chloride anion (Cl⁻), the phosphate anion (PO₄⁻⁻), the bicarbonate anion (HCO₃⁻), the nitrate anion (NO₃⁻) and the sulfate anion (SO₄⁻). 12. What is the role of mineral salts in osmotic regulation? Osmotic pressure depends on the number of particles dissolved in a solution and not on the nature of such particles. Mineral salts, glucose, proteins and urea are the main regulating particles for the osmolarity of an organism. These molecules, along with other particles inside and outside the cell, generate a larger or smaller osmotic gradient between the intracellular and extracellular space. 13. What is the role of mineral salts in the creation of electric tension (voltage) at the cellular level? The electric activity of a cell, in neurons, for example, depends on the different concentrations of positive and negative ions between the inner and the outer surfaces of the cell membrane. Mineral salts are responsible for that voltage. The cell membrane of a non-excited cell normally has a negative inside and a positive outside. This electrical situation is maintained by ion transport across the membrane. 14. Why is pH regulation important for living beings What is the role of mineral salts in this regulation? The potential of hydrogen (pH) is a measure of the amount of hydrogen ions (H⁻) in a solution. The regulation of pH depending on the necessities of each organ or tissue is extremely important for an organism, since enzymes only act within certain pH ranges and many proteins are only active within certain pH ranges. Therefore, biochemical reactions depend on the presence of correct pH levels. Neutral pH is one of the properties of water. 15. What is the role of mineral salts in enzyme activity? Many mineral salts are cofactors of enzymes, which means that they are substances without which enzymes do not work. 16. What are the main biological processes in which calcium is involved? Calcium is present in almost all cells and has several functions. Calcium plays an important role in muscular contraction, in the blood coagulation process, in the structure of bone tissue, in teeth, in the motility of the sperm cell flagellum and in the transmission of nerve impulses. 17. What is hemoglobin? What inorganic element is fundamental in the composition of hemoglobin? Hemoglobin is the protein present in blood responsible for the transport of oxygen from the lungs to tissues and cells. The hemoglobin molecule is composed of four protein chains, each with a heme group containing an iron atom. The iron is responsible for the binding of oxygen in the lungs and also for the red color of hemoglobin and therefore blood. 18. What is the importance of magnesium for plants? What are the other main biological functions of magnesium? Magnesium is fundamentally important for plants because it is part of the chlorophyll molecule (and chlorophyll is essential for photosynthesis). Magnesium also acts as the cofactor of several enzymes plays and important role in muscle relaxation and in the transmission of nerve impulses. 19. What is phosphorylation? What are some biological processes in which phosphorylation plays a critical role? Phosphorylation is the name given to processes of the addition of phosphates to some molecules, thus making these molecules more energized. Phosphorylation has an important role, for example, in photosynthesis (the photophosphorylation of the light phase) and in aerobic respiration (oxidative phosphorylation of the respiratory chain). In general, the phosphate used in phosphorylation comes from ATP molecules. 20. Why is iodine important for human beings? Iodine is a chemical element necessary for the proper functioning of the thyroid because it is contained by the hormones produced by this gland. Iodine deficiency creates a type of hypothyroidism known as endemic goiter. 21. What are the main biological functions in which chloride ions are involved? Like sodium cations, chloride anions actively participate in the regulation of the osmolarity of tissue and cells by crossing the cellular membrane and stopping water from entering into a cell or stopping the excessive loss of water from a cell. Chloride anions play an important role in the acid-base balance of an organism since they are involved, along with bicarbonate anions, in the pH buffer system of the body. Another function of chloride ions is in digestive physiology: inside the gastric lumen, hydrochloric acid secreted by stomach cells ionizes into hydrogen and chloride ions, lowering the pH of gastric juiced and allowing enzymatic digestion to take place. Study the next subject: go to Carbohydrates.